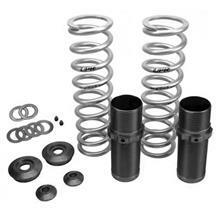 Wanting to lower your Mustang? 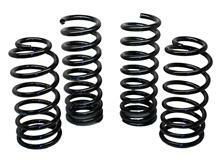 Late Model Restoration has the lowering springs you need to get rid of the 4x4 stance! 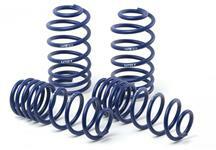 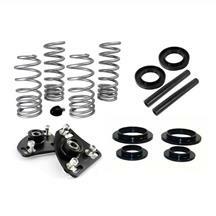 Choose from a variety of lowering spring kits for your SN-95 or New Edge Mustang. 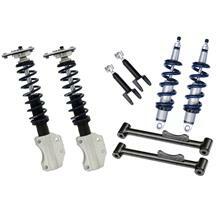 We offer kits from top brands such as SVE, Eibach, Ford Racing, BBK, H&R and Steeda to get your Stang looking more aggressive! 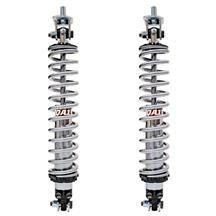 Get the ride quality you want on your Mustang with your choice of progressive rate, specific rate, pro-kit, and sport springs, each offering a different ride height and stiffness. 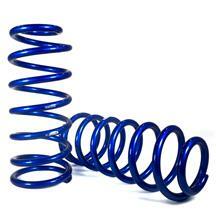 Adding a set of lowering springs can improve handling, cornering, and launching which makes your car perform better on and off the track. 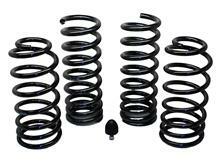 Want adjustable ride height? 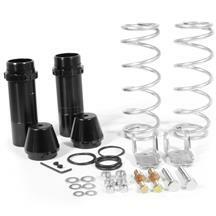 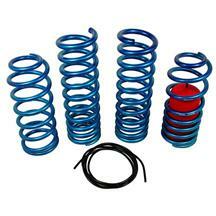 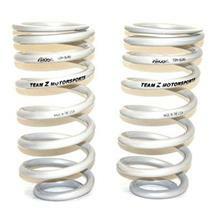 Pick up a Mustang coil over kit to easily adjust the height and stiffness of your suspension. These kits are perfect for anyone who want to fine tune their suspension. 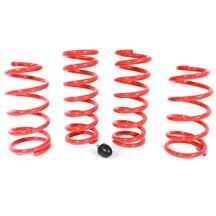 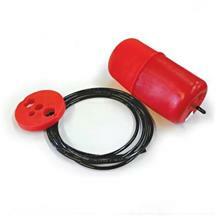 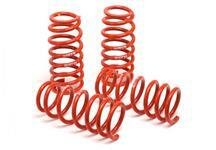 Don't forget to pick up new spring isolators with your order. 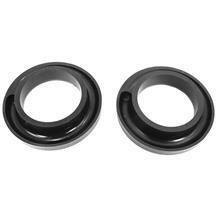 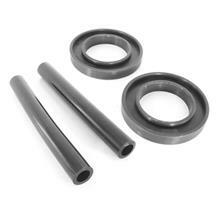 These rubber isolators, sometimes called ISOs, install on the bottom and top of your springs to provide cushion when installed. 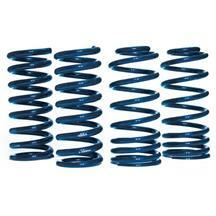 These can become worn out over time causing creaks, clunking, and rough ride quality. 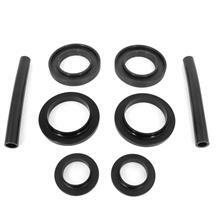 Find these parts and many more at LatemodelRestoration.com. 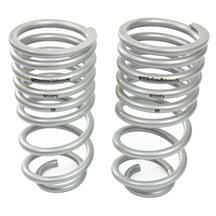 Get rid of that wheel gap between the fender lip and top of the tire with a set of lowering springs from Late Model Resto. 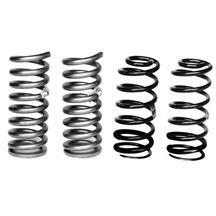 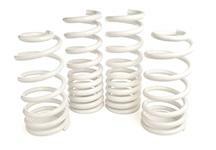 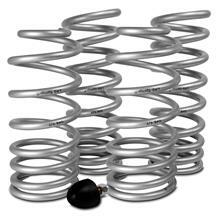 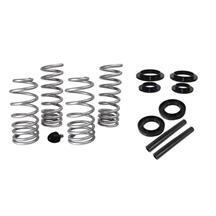 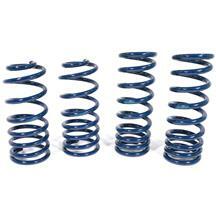 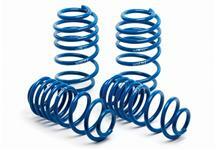 These 94-04 Mustang springs are offered in specific and progressive rates and give your car various drops depending on your spring choice and specific body style. 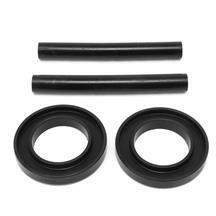 Add on a set of urethane isolators to maintain better ride quality. 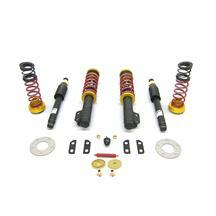 Find these parts and more suspension components at Latemodelrestoration.com.